In 2016 RPG-club offers you a new concept: server Party with chronicle update! We are glad to please those who likes the race at start: chronicle update will be done as separate server start! 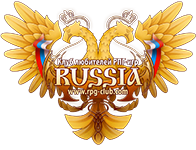 First server as a part of Party will be launched in October 2016 on Graсia Final platform. Second server will be launched in November 2016 on High Five chronicles. The first server will be updated to High Five and given some time to adjust and catch up with the new chronicle content. Within a few months they will be merged into one on High Five platform. It's time for the main vote, where you can choose the detailed setup for the game world. Also hurry up to reserve your nick on the new serber before the start!